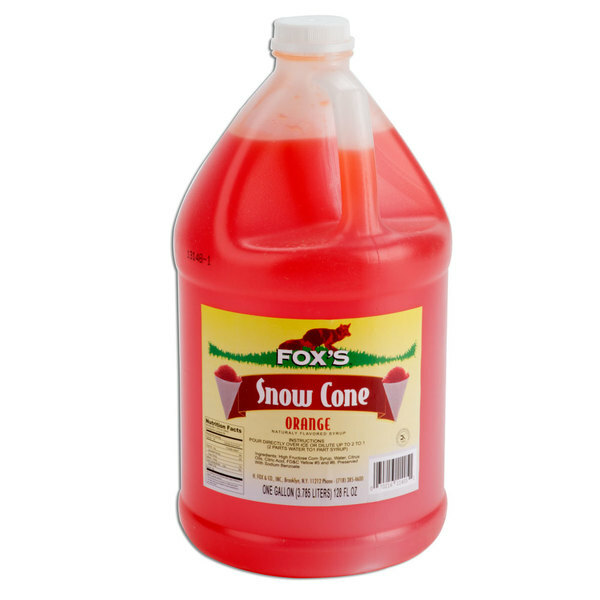 Capture the taste of summer with the sweet, refreshing flavor of Fox's orange snow cone syrup! 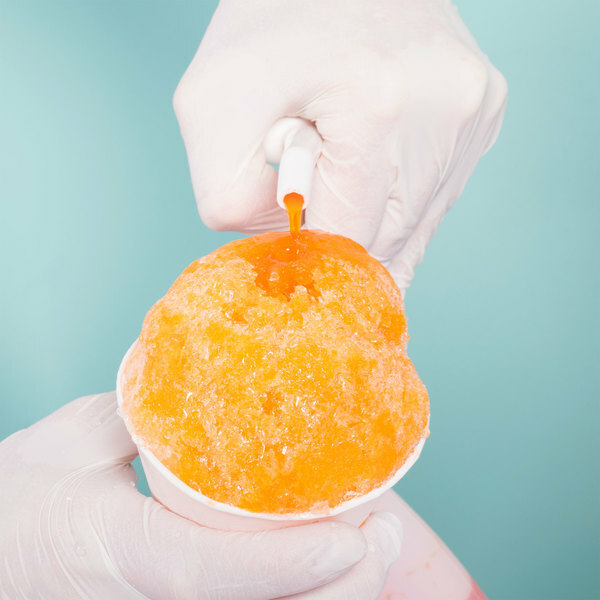 The citrus flavor of the syrup combined with the icy texture of the snow cone creates an irresistible frozen summer treat that your customers will love. A corporation specializing in irresistible ice cream toppings, sweet syrups, and fizzy soda mixes for over 100 years, H. Fox & Company takes great pride in their products. Snow cones are the perfect treat to help all of your patrons beat the heat. Featuring the classic citrus flavor of oranges, and a visually appealing, bright orange color, this snow cone syrup can be used to enhance the menu at any concession stand, fair, or ice cream shop. With 96 servings of snow cone syrup per container, your business will be in good supply. Each gallon of snow cone syrup is made with the finest ingredients to create the most authentic mouth-watering flavors. Fox's Slush Syrups are delicious! We use these flavors to mix in our sprite slush to allow our guests to choose from many different flavors and only use one slush machine. The Orange is sweet and the color is nice, not too citrusy, but very fruity! Our guests really like it! Very strong orange flavor with a vibrant color. Nice thick syrup coats the ice without the dreaded bottom pooling. You can beat the price at Webstaurant. We orders this large orange syrup to have for our snow cones and the tast is great along with the price. We just pour it into the smaller bottles. This one has a pleasant orange taste. It is a good snow cone flavoring syrup. This one is good as is and when paired with the vanilla. We use this snow cone syrup for our snow cones and they are a big hit! We have also mixed it with soda, the flavor is really good and tastes just like oranges! Fox does it again with this snow cone mix. A classic flavor with a wonderful color. Not too watery tasting and not too overpowering. I love this orange syrup.